This volume examines the shifting role of the state and social organizations (e.g. NGOs) in providing social services in contemporary China. A series of case studies identifies a dynamic whereby the state increasingly withdraws from social service provision with social organizations taking up the slack. An interdisciplinary line up of contributors explore this dynamic, and how it affects the state-society relationship and the quality of social services provided. Based on current research, this book engages existing debates over state-society relations offering a new thematic framework to evaluate this relationship. Drawing on the framework, each chapter explores a particular aspect of social service provision including orphan care, migrant labor protection and infectious disease control. 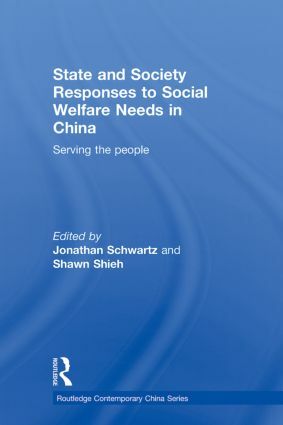 Differentiating between case studies of crisis and non-crisis social service provision situations, this volume argues that state and social organizations engage in ongoing negotiations to achieve shared social service provision goals – a dynamic largely controlled by the state. However during crises, the controlled relationship may alter as the priority becomes addressing the immediate demand for essential social services. The result is the potential for a rapid change in relations between the state and social organizations.